Is your network ready for the digital era? What does a digital ready network entail? How do you bring all these network innovations together? How are other organizations on their Digital Network journey? BERLIN, Germany – February 21, 2017 – According to a newly released IDC study, organizations around the world are expected to triple the adoption of modern, automated networks over the next two years. 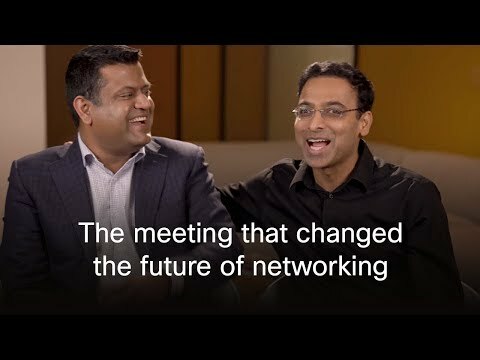 To accelerate the journey to these digital-ready networks, Cisco is introducing new technologies that allow customers to virtualize and secure their networks. Virtualizing the Network Perimeter: The network perimeter is an organizations' gateway to the Internet. But traditional, static network perimeters are struggling with the new realities of the digital era. The new Cisco Secure Agile Exchange solution virtualizes the network perimeter and extends it to colocation centers. This allows organizations to dynamically connect customers, employees, and partners using on-demand, virtualized network services. Software-defined Segmentation: Cisco TrustSec provides software-defined segmentation that isolates attacks and restrict movement of threats in the network. This dynamic segmentation makes security policy changes 98 percent faster than traditional methods, with an 80 percent reduction in operational efforts. TrustSec 6.1 is now available across Cisco’s entire enterprise networking portfolio and integrates with Cisco ACI. With these advancements, TrustSec enables dynamic segmentation anywhere on the network, from the edge to the data center and cloud. Cisco also unveiled the results of a major global study into the adoption rates of digital-ready networks. Conducted by IDC and commissioned by Cisco, the research surveyed 2,054 global organizations across 10 countries to determine the digital readiness of their networks. The survey covered both mid-market and large organizations from the Australia, Canada, China, France, Germany, India, Japan, Mexico, the United Kingdom and the United States. Emerging countries to leapfrog developed nations: The real variance occurs when comparing countries. North America currently has the highest level of network maturity, while Asia Pacific and Latin America report the lowest. The most mature countries include the UK, USA and Australia. However, the most significant jump in maturity is expected to occur in emerging economies -- India, China, and Mexico.